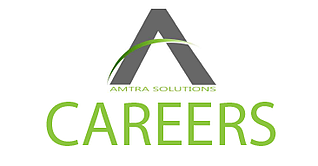 AMTRA has an excellent permanent opportunity for a junior to intermediate Application Packager (Packager). This person will be part of a packaging team to support application packaging for our Windows 10 clients. The Packager will be responsible for packaging in-house developed and COTS type applications using AdminStudio and Microsoft Application Virtualization Sequencer (MS Sequencer) packaging software following an established process and workflow. Packaging will consist of building silent installation packages in an App-V or MSI/MST format, initial configuration and performing installation on Windows 10 test environment before a hand off to the client for user acceptance testing. Must have prior experience with using AdminStudio & Microsoft Application Virtualization Sequencer for packaging. Must have packaged applications for Windows 7 and Windows 10 OS platforms. Must understand and have used one of the following: VBScript, WISE Script or batch files. Expertise in virtualizing applications through sequencing is required. Must understand a standard packaging process and workflow. Must understand App-V / MSI packaging best practices and standards. Must have knowledge of desktop deployments for Windows platforms. Must have political awareness and sensitivity in customer situations. Must be able to troubleshoot packaging problems.